The Nature Conservancy on Long Island, Long Island University (LIU), Friends of the Bay and North Shore Land Alliance hosted a Water Quality Symposium on October 7th, 2014 at the Tilles Center on the LIU Post Campus. After the presentations, the audience broke into small groups to discuss the information that had been presented and to suggest and evaluate potential next steps that might contribute to clean water outcomes in the region. 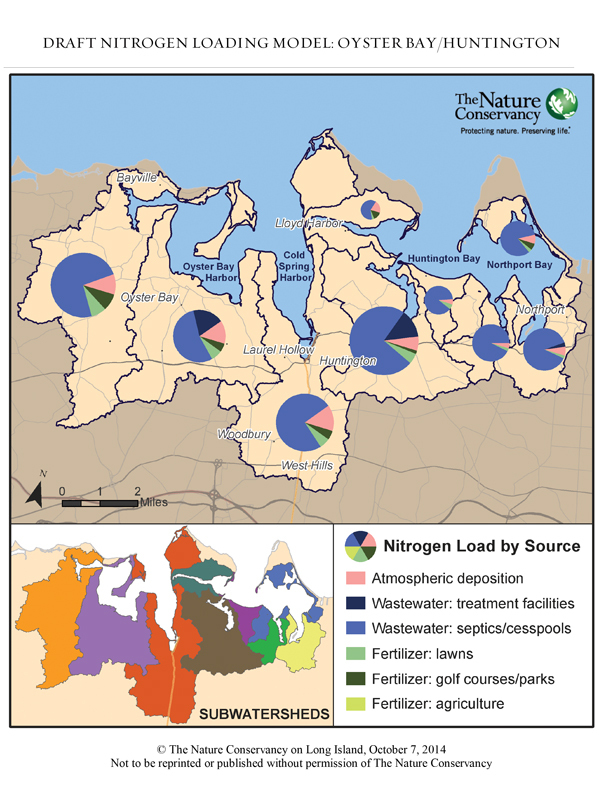 Generally, participants were not aware of the growing levels of nitrogen that are polluting local water bodies, including our sole source aquifer. They were also not aware that steps currently taken to protect local waters are no longer adequate. Overwhelmingly, the group wanted to know more about what we as a community of citizens and appointed and elected officials can do to address this very serious problem. They also advocated for reconvening in the near future to plan a constructive process which will contribute to the restoration and protection of water quality in our bays, harbors and Long Island Sound.